Okay, so there are usually two ways to view marketing for books, movies, tv shows, etc. One way is that marketing schemes are awesome. They are full of prop replicas, countdowns, viral messages, teasers, etc. They make the world of the story seem that much more real, and that’s a really cool thing. But of course, there’s also the viewpoint that these schemes are nothing but a money grab, and the truth is that sometimes they even bring down the dignity of the story (by selling everything under the sun with that story’s name on it). I tend to glide somewhere in the middle. I get annoyed by the amount of merchandise and advertising some things get, but I also love prop replicas and teasers and story-inspired text-messages, etc. It’s fun! And if I am ever published, and ever have any marketing done for one of my stories, I would be thrilled to have this kind of attention. Me and my husband are currently in the middle of watching Castle. It’s a fun show, because Nathan Fillion is awesome and it’s about a writer! 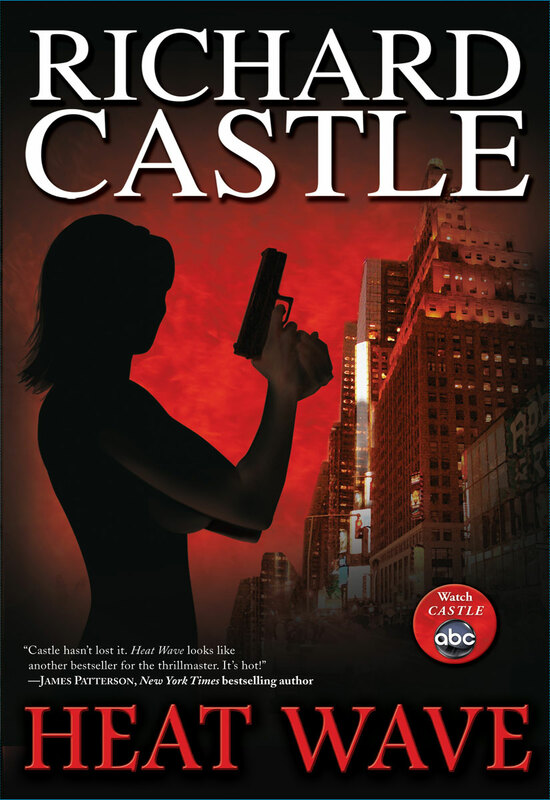 And one of the things the show did was to create a line of books written by Richard Castle (Fillion’s character). The books themselves say they are written by Castle, and they have an “author photo” of Fillion. I’ve seen a lot of discussion over who actually writes these books, and while there are some definite clues, no one will come out and actually say it. Some people are really bothered by this, because they don’t think it gives the actual writer credit and believe it’s only a big money grab for the show, but others love the mystery and the effort everyone has put into making the world of this show realistic. I recently listened to one of these books. And honestly, I think my biggest complaint is that it actually follows the show too closely, and is almost like a novelization of the show rather than an independent story created within the show’s world. But I think it’s a neat concept. Yes, of course it’s a money grab, but I don’t necessarily think that’s a bad thing. If someone is willing to write under Castle’s name, then so be it. There are lots of ghost writers out there, and while the idea doesn’t appeal to me as a writer, I guess if someone is happy to write that way, it’s a fun advantage for the world of the show! But I am curious to know what others think of these kinds of marketing schemes. Do you think they are fun attempts to make fictional worlds more real, or do you think they are selfish attempts to exploit a story for every penny it’s worth? Or do you think it’s a little of both? I think this sort of idea is cool, if you can manage it. If I were a fan of Castle (or [insert whatever character name here]), and the books in his name were well-written, I'm sure I'd be delighted by them, because WOW, it's more awesome stuff related to this awesome person that I love! I wouldn't call it exploitative so much as opportunistic and/or catering to what fans may enjoy. So long as the ghost writers are cool with remaining the mysterious scribes behind the scenes (which, if they signed the contract for it, I should hope that they are), it sounds like a potential win for all parties.